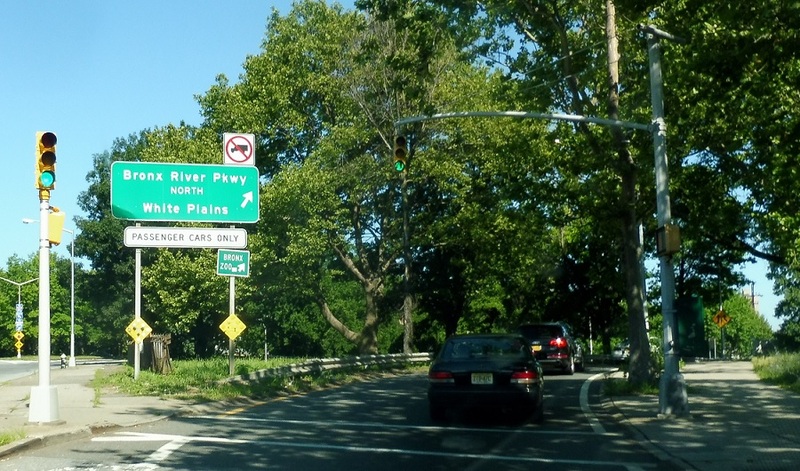 Keep right to merge onto the Bronx River Pkwy from 177th Street, which provides the connection from I-95 right here. 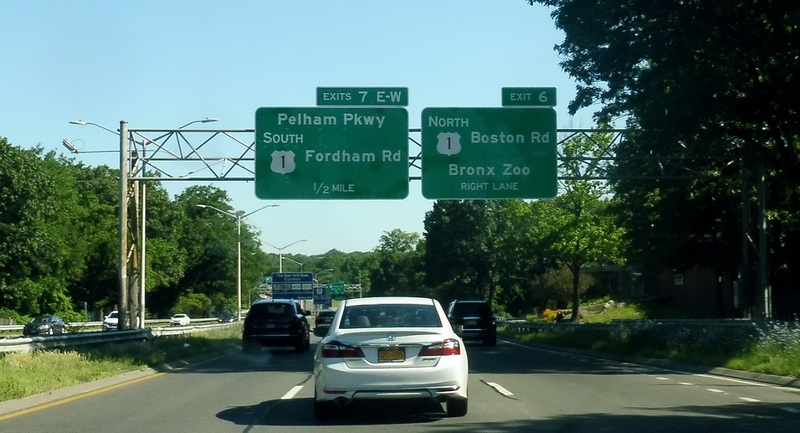 A couple miles later, we’ll approach US 1 and the Pelham Parkway. 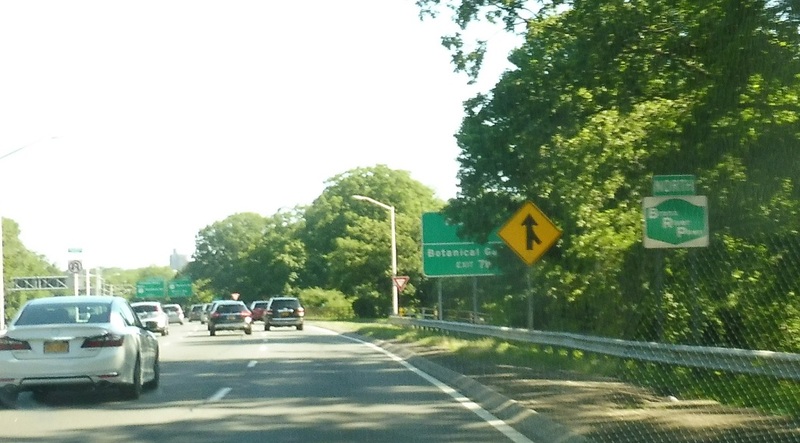 Exit for US 1 north and the Pelham Parkway to Pelham Bay Park. 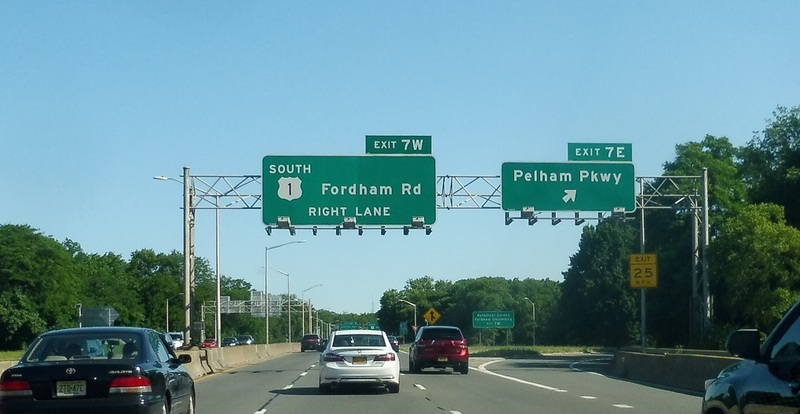 Exit for US 1 south/Fordham Rd.